According to statistics released by the ministry of farming and the environment in Germany’s North Rhine-Westphalia region, organic food makes up only 0.5 percent of the total served in the catering industry. Twelve Danish organic food companies have got together with the Danish agricultural and food council, Landbrug & Fødevarer, on an export drive in Hamburg to try and change this. “We can see great potential in exporting more Danish organic food to the German catering industry market,” said Landbrug & Fødevarer’s marketing consultant Sarah Fuglsig. The initiative is being launched in Hamburg, which last December became part of the so-called Biostadt (bio cities) network in Germany. This network of cities was founded in 2010 and works to promote organic production and consumption. “In a Biostadt, political initiatives are taken to increase the share of organic food in public kitchens, such as kindergartens, schools, works canteens and catering for municipal functions,” said Fuglsig. 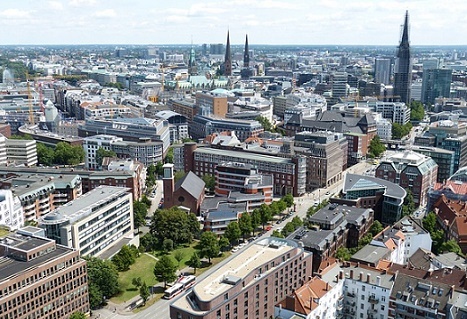 In Hamburg, the Danish companies – spanning areas as diverse as meat, cheese, vegetables, juice snacks and ice cream – will meet representatives from German wholesalers and catering establishments.